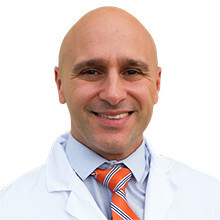 Dr. Filippo Cangini has been practicing dentistry for over 22 years. He is very passionate about dentistry, and loves to help his patients attain healthier smiles. He is committed to his patients, and endeavors to provide them with the most efficient, comfortable, and updated treatment available. When not taking care of his patients, Dr. Cangini enjoys reading, biking, cheering for the Golden State Warriors, traveling and spending time with his wife and three boys.